Alat, Jolo, Sulu, [01.14.14] – Two surviving members of Jabidah Special Force has come out in the open to shed light about the appalling story surrounding Jabidah Massacre, so that the world will know what had happened in the island of Corregidor, forty-six years ago. 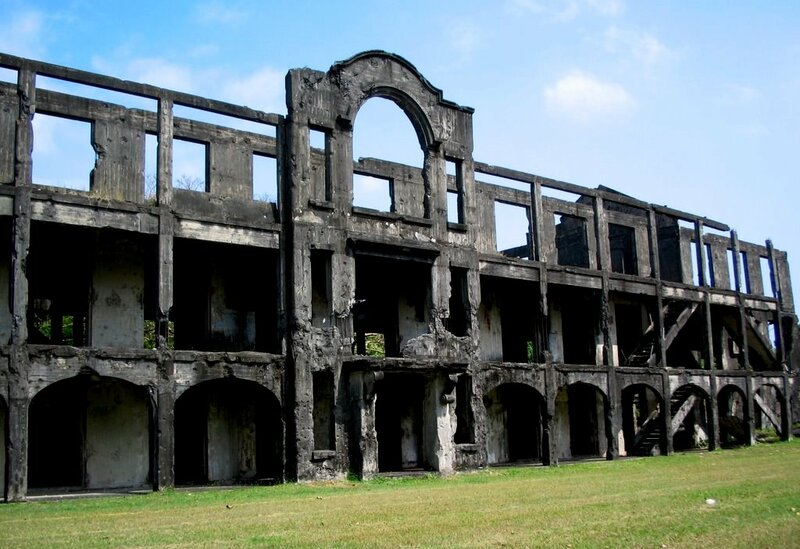 Remnant of World War 2 in Corregidor Island. Photo grab from Google. One has succeeded and become a member of the elite airborne unit in the Philippine Army is a retired sergeant. 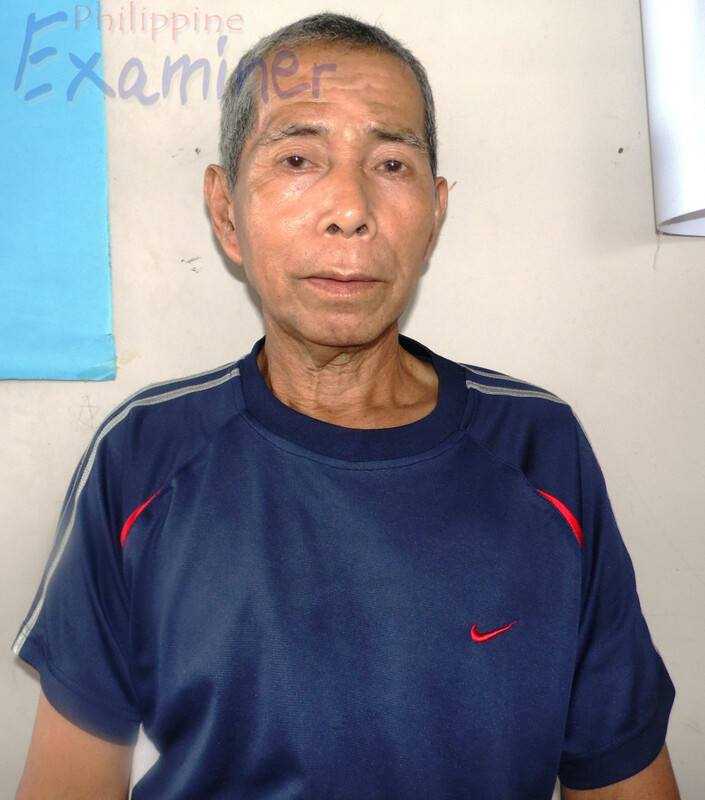 While the other became a veteran freedom fighter of the Moro National Liberation Front [MNLF] after his dream was shattered by that villainous carnage. The two major personas who unmasked the enigma – were Mihajul Saliddin Paradji, who is fondly called Hajji Ayub. He is now 62 years old, while Hajji Abdurajah “Jack” Abdulla is 70 years old. Perhaps they are both gifted by Allah with long life to tell their own stories about the massacre. They are both full blooded Tausugs born in the province of Sulu. Their own vivid revelations about their distant pasts are filled with colorful and interesting exploits. An account that will give answers to the nagging enigma about the conspiracy that was willfully kept by the powerful Filipino oligarchs. Unknown to many including the present generation, the deceptiveness hatched by the Philippine and Malaysian governments to distort the rightful owners of North Borneo and Sarawak – has a strong relevance to the present Philippine tumultuous territorial claim over Sabah and Sarawak. Jabidah Massacre was just among the multi-faceted cover-ups to hide the truth and it is deeply rooted to the conspiracy that killed the Sultan of Sulu in 1936 in order to make North Borneo and Sarawak their perpetual milking cow. The collusion between Malaysia and Philippines was dramatically played by installing a politically appointed “Sultanate of Sulu” who is subsisting on a meager annual rent of U$5,300 dollars. The “Oplan Merdeka” who was vigorously pursued and was implemented during the Marcos regime was a pig-headed design, to retake Sabah at the expense of the Jabidah Commandos, that is why the blood of the martyred young Tausugs in the remote airstrip of Corregidor Island will never be forgotten. The clandestine plot to foment dissent in Sabah was under a codename “Operation Merdeka”. Merdeka, is a Malay term for freedom. 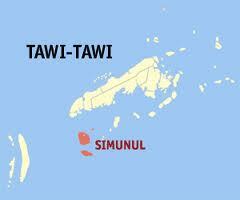 The recruitment of Tausugs began in the early part of July 1967 and was conducted in the province of Sulu. According to the sources, Mihajul Saliddin Paradji and Abdurajah “Jack” Abdulla; they were approached by Antonio “Joe” Santos, a mechanic who was then frequenting Jolo. Santos convinced them to join the training including other young Tausugs for the special military unit. Their dream to be a soldier has brought them to the training camp in Simunul island. The project supervised by Manuel Syquio as project leader and then Major Eduardo Martelino as operation officer. Other military officers who played major roles in the conduct of military training both in Simunul Island and in Corregidor Island were both identified – by Paradji and Abdulla. They were Eduardo Batalla, Rolando Abadilla, 2nd Lt. Munar, 1Lt Buenaventura, 1Lt. Makid, 2nd Lt. Philip Lauzon, Captain Ruiz, Captain Sotico and Captain Latonero – a majority of the military officers were junior officers at the time of the military training. Martelino became so effective as an operation officer because he married a Tausug woman and became a Muslim convert with an assumed Muslim name as Abdul Latiff Martelino. Simunul Island. The first phase of the special military training was conducted inside Camp Sophia in Simunul Island, Tawi-Tawi from August to December 1967. The first phase of the special military training was conducted inside Camp Sophia in Simunul Island, Tawi-Tawi from August to December 1967. The training dealt mainly about basic commando exercises focused on the agility and basic military tactics as their daily routines. After three months of rigorous training in Simunul, the troops were transferred to Corregidor on December 30, 1967, aboard on a Philippine Navy ship. The training continues and was geared into a specialized commando training course as the six months course is nearing its final leg. Demolition course using grenades, lay an ambush, night navigation, escape and evasion tactics including counter-intelligence were introduced to us in the course, Paradji revealed. The restiveness started when the Jabidah Commando trainees discovered the real objective of “Oplan Merdeka” is to destabilize North Borneo. Agitated by the real mission’s objectives, the growing uneasiness has aggravated further the situation due to the unpaid three months salaries. Members of Banji group, a group of Jabidah trainees has plotted against their training officers to redress their grievance so that they can go back home to Sulu. According to Paradji, their desires to have a decent job was defeated. The reason why we joined the training was to be a soldier and to have a salary to support their family, he said. While finalizing our plan to register our grievances, a manhandling incident against a trainee happened unexpectedly. The action made by then Lieutenant Eduardo Batalla against our troop member snapped our patience particularly the Banji group, Paradji revealed. The misunderstanding was settled. However, then Major Martelino “Abdul Latiff” disarmed the Banji group and ordered the remaining trainees to go out from the barracks. Suddenly the entire camp went dark and the sentry was controlled by heavily armed military officers, Paradji recalled. Twenty four  trainees, including me. were ordered to be shipped out of Corregidor the following day. While traveling out of Corregidor, we were confined on the ship deck. When we were in Cebu, a message from the former Sulu congressman Salih Ututalom was received by the ship’s captain ordering him to bring us to Jolo. After we arrived in Jolo from Corregidor after days of the sea voyage, we were surprised by the throng of people asking us the where about of other trainees. Unknown to us while were are traveling back home, a bloody massacre was already consummated. The presence of former senator Benigno S. Aquino, Jr who went to Jolo after Arula revealed the story, his visit to Jolo has finally confirmed the bloody end of the fourteen Tausugs who were killed in Corregidor island. That was the only time we knew about the fate of the fourteen trainees that they were killed. According to Abdurajah “Jack” Abdulla, the eleven bodies were thrown in a deep tunnel in Corregidor without any religious burial rites. The eleven trainees were killed through machine guns in a remote airstrip of Corregidor. Only Jibin Arula survived in the massacre. Hajji Abdurajah “Jack” Abdulla is 70 years old. Abdurajah “Jack” Abdulla is a member of “Kubing” group of the Jabidah Commando group at the time of their training course. While the issue about the massacre remains to hug the headlines and the Senate investigation is being hatched by then-Senator Ninoy Aquino, we were ordered to hide in some military camps to evade the inquiry. After the massacre, they were transferred to Fort Ramon Magsaysay in Laur, Nueva Ecija to pursue a career as a soldier. In October 1969, five ranger group including himself received a meritorious medal in Fort Bonifacio. Later in January 1970, he was assigned in Malacañang Palace as a Presidential Guard. he became a trusted man of General Fabian Ver, the Chief of Staff during Martial Law. During the height of Muslim rebellion in Sulu, his family was tortured by the military who were operating against the Moro Islamic Liberation Front. Also at the same time, while still serving with the military, Jack’s brother and his brother-in-law were killed by the Philippine military. 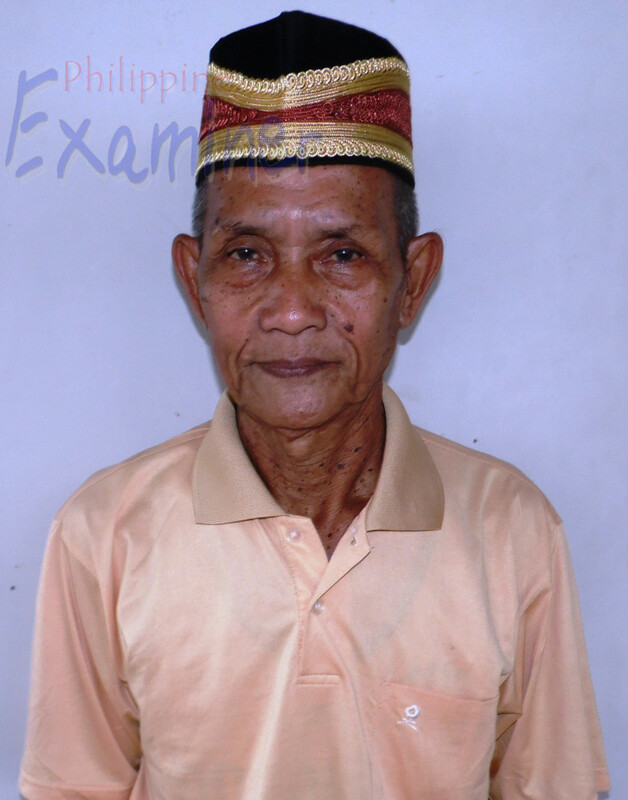 Twist of fate has separated Mihajul Saliddin Paradji and Abdurajah “Jack” Abdulla because of Jabidah massacre, however, faith in Allah, has brought them back again as one – they are now both religious leaders in their home province of Sulu. In retrospect, they have a common belief that the massacre in Corregidor Island that has transpired forty-six years ago, was just a morsel of the ongoing conspiracies being committed by the Philippine government against Tausugs. Paradji and Abdulla who both witnessed the war in Mindanao, they simply admitted the fact that Jabidah massacre was directly linked to hide the conspiracy that killed Jamalul Kiram II in 1936. Kindly send your short notices at my email me at inangmaharangmountain@gmail.com or like us at Facebook. Many thanks for reading my article. You’re welcome to send some kind comments..
My father used to be part of the trainees owing his brief stint and experiences in sabah , he was directly recruited by then Maj Martelino in Jolo Solo given the rank of 2nd Lt. (call active duty) ,and designated as 3rd man under the command of then 2nd lt battala (2nd man is Lt. Abadilla) – His account during the faithful night , he was approached by one of the trainees to joined them in expressing their camp -grievances,luckily , he had declined it otherwise he might be one of those who disappeared. – He had declined it , as they were enjoying good foods in their barracks as compared with others. Post the ordeal , he managed to joined ISAPF and later AWOL in the military service. His memories about the whole thing still vivid including his jabiddah – guerrilla serial numbers. I would like to communicate with him, could you help me get in touch him Sir?